Pakuranga United Rugby Club Premiers pulled a trick out of the bag to clinch a 26-21 win against a fiery Papatoetoe on Saturday. The win, secured two minutes after the final whistle, gives Pakuranga two wins from two starts, says PURC director of rugby Pita Alatini, it could have ended so differently. The Access Solutions Prems held a comfortable 21-7 lead at half-time too. “We were confident but still had to go through with some hard work,” said Alatini. It began to crumble in the second half. “We were our own worst enemy in the second half and made crucial errors. In the 82nd minute with the score at 21-all, Papatoetoe made an error resulting in a scrum with PURC rewarded with a massive final push through multiple phases from inside their own half. 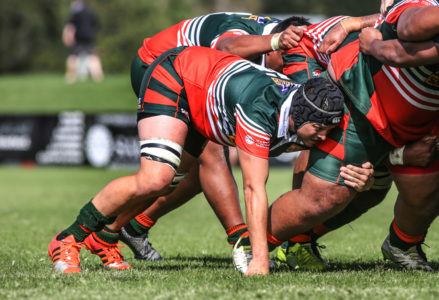 PURC play at home to East Tamaki on Saturday. Access Solutions Pakuranga Premiers 26 v Papatoetoe 21. Try-scorers: Quentin Hill, Michael Kosetatino, Romney Koraua. Conv: Michael Kosetatino, Ben Lyford. Previous articleOPINION: Has Nonu stepped into World Cup contention?